Hotel President is presenting its guided, exotic day tours to the most exotic places in Croatia. From national parks to historic cities on the coast, you will be able to explore the very best our beautiful Mediterranean country has to offer, all accompanied by our unique hospitality skills and services. Our trips include everything you could need: modern Mercedes shuttle with a driver, an optional guide, and a suite to stay in during two or more days tours. Plitvice Lakes are broadly respected UNESCO heritage site and also one of the most popular places to visit in Croatia. 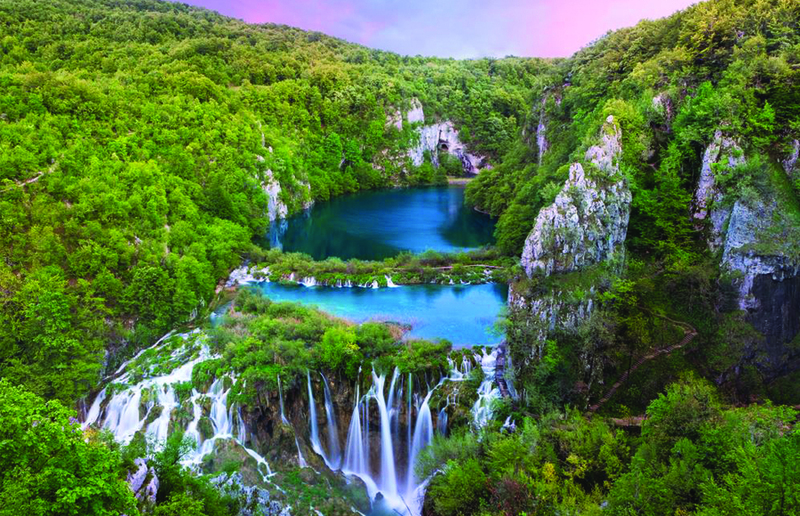 Plitvice are actually a system of 16 incredible lakes which create amazing waterfalls and pools – find out more about them in our article. Restaurants are available on site and can be booked for you. We can also arrange visiting a small village of Rastoke near Plitvice, which are famous for its houses on the water and small waterfalls. Please contact us for the full itinerary and more details. Opatija is one of the champions when it comes down to not only luxury tourism, but also extreme elegance. It is the oldest Croatian tourist destination. After one-hour drive, your driver will leave you at the Opatija port. There, you can refresh yourself with a cocktail in Heminway bar, which is right behind you. From there, you take a nice walk down lungo mare to the Opatija centre, or a small village of Volosko. If hungry, you can take a break in a first-class restaurant called Bevanda. When you decide, your driver will take you back to Hotel President. The oldest continuously inhabited city in Croatia has gained its full urban aspect in the middle ages, while the structure originates from the Roman times. Main sights of the city include Roman forum (dating from 3rd century) founded by the first Roman emperor Augustus. Church of St. Donatus was built in the 9th century in pre-Romanesque style, but also many other almost perfectly preserved buildings. Sea organ is an experimental musical instrument which plays music by way of sea waves and tubes located underneath a set of large marble steps. It takes a bit over two hours to get to Zadar from our Hotel. 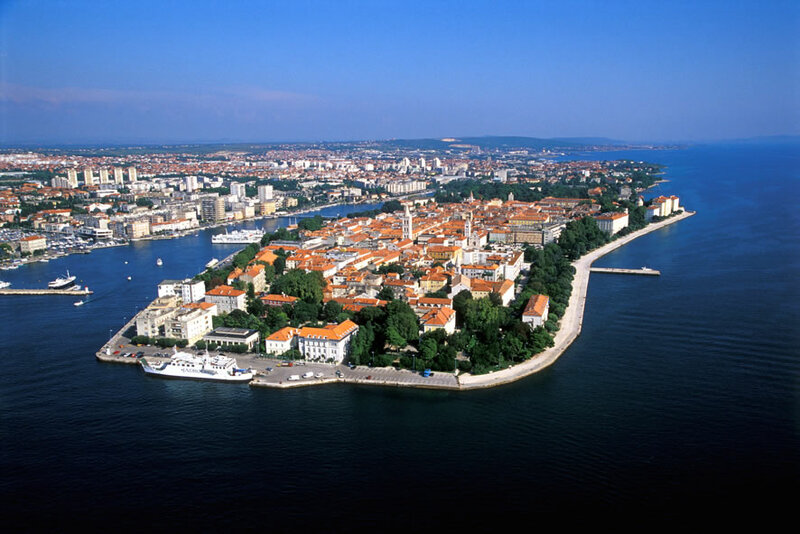 Split is the largest city on our coast, with roots from the Roman Empire. 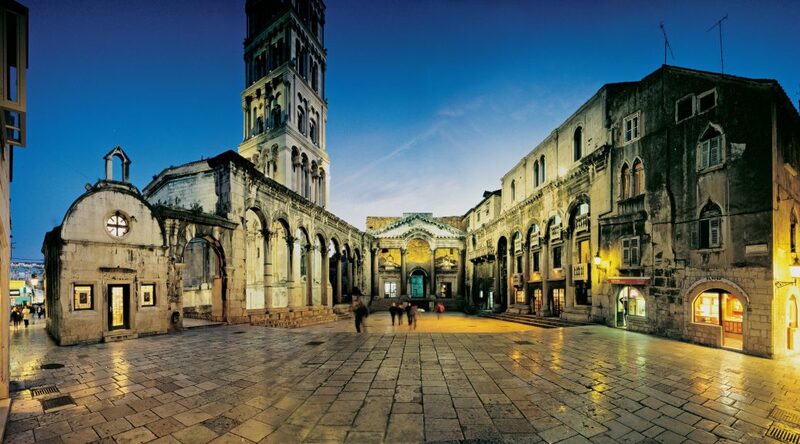 City is full with impressive sights, from a big Palace where Emperor Diocletian lived (which is also the centre of the city) to sandy beaches of Bačvice. It is, without any doubt, one of the most exquisite Croatian sights. Wherever you want, our exotic day tours will take you. Your designated driver will leave you in our brand new President Apartments Split. From there, you can go exploring the old city! Contact us for the full itinerary and more details.